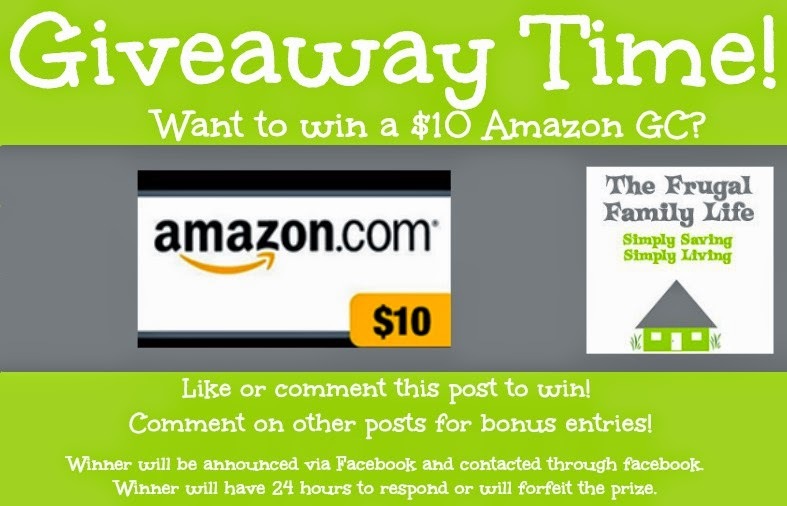 The Frugal Family Life: Giveaway :: $10 Amazon Gift Card! There's a new giveaway going on over on my Facebook page, The Frugal Family Life. If you haven't joined us over on facebook yet, head on over for your chance to win a $10 Amazon Gift Card!